As work demands more of employees’ time, many are asking: How can I earn a living while making sure my family doesn’t fall behind? Workers across all income brackets struggle with the United States’ outdated work-life policy framework, but the balancing act is particularly challenging and risky for low- and moderate-income workers and their families who have smaller financial margins and a weak safety net. In her new book, Finding Time: The Economics of Work-Life Conflict (Harvard University Press | April 2016 | $29.95), Heather Boushey argues that resolving work-life conflicts is as vital for individuals and families as it is essential for realizing the country’s productive potential. Boushey, executive director and chief economist of the Washington Center for Equitable Growth, presents detailed innovations — at municipal, state, and company levels — that illustrate how US policy can ease the burden on American families and ensure our country’s economic stability. Through personal anecdotes, real-life profiles, and extensive statistical research, Boushey demonstrates that economic efficiency and equity can be reconciled if we have the vision to forge a new social contract for business, government, and private citizens. We invite you to join Aspen Institute Economic Opportunities for a conversation with Heather Boushey about her new book Finding Time: The Economics of Work-Life Conflict. Finding Time. The book will be available for purchase at the event. To purchase online, visit the Harvard University Press website. Enjoy a selection of video clips from this event. 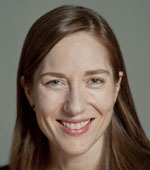 Heather Boushey is Executive Director and Chief Economist at the Washington Center for Equitable Growth. Her research focuses on economic inequality and public policy, specifically employment, social policy, and family economic well-being. The New York Times has called Boushey one of the “most vibrant voices in the field,” and she testifies often before Congress on economic policy issues. Her research has been published in academic journals; she writes regularly for popular media, including The New York Times’ “Room for Debate,” The Atlantic, and Democracy; and she makes frequent television appearances on Bloomberg, MSNBC, CNBC, and PBS. Boushey previously served as an economist for the Joint Economic Committee of the U.S. Congress, the Center for Economic and Policy Research, and the Economic Policy Institute, and also sits on the board of the Opportunity Institute. She received her Ph.D. in economics from the New School for Social Research and her B.A. from Hampshire College.